It doesn’t matter whether you’re an in-house recruiter for a Fortune 500 company or a recruiting consultant for a bootstrapped startup, recruiting is never easy. But to help you stay on top of your recruitment game, we’ve handpicked these eleven best recruitment blogs that you must add to your 2019 reading routine. The recruiting category from ZipRecruiter’s blog offers tactical content on how recruiters can source, engage, and win the best talents. Whether it’s getting your questions like “Do Job Fairs Help Recruiting Efforts?” or “Contractor or Employee — What to Choose for a Recruitment Need?” answered or finding the most effective tips on everything right from writing job ads that eliminate bias and attract the most high-quality applications to handling bad employee reviews and everything in between, the ZipRecruiter recruitment blog has got you covered. With tips from this recruitment blog, you can learn or further develop your recruitment skills, learn the winning habits you need to excel as a recruiter, and develop hiring processes that get great results. Discover the habits you need to learn to use your time the best as a recruiter, build connections, manage your reputation, recruit the best talent and offer excellent customer support to both your candidates as well as your company/client as you do so. Also, discover the most-desirable attributes in inside and outside recruiters. The AngelList blog offers some refreshing insights into how startups and early-stage funding companies can approach recruitment. This blog doesn’t get updated so frequently, BUT all the content it features can be applied almost immediately. So if you specialize in assisting startup companies with their hiring needs or if you’re an in-house recruiter at a startup, you might want to follow this blog for its early-stage hiring tips. With tips from this recruitment blog, you’ll be able to win candidates that have an entrepreneurial mindset that can prove to be great assets for your client or company that’s still in the startup phase. If a candidate asks you a question about attrition, or another metric that shows they’re thinking about recruiting in the greater financial context of your business, that’s a good sign. Glassdoor’s blog is packed with super-practical and actionable content on building a winning employer brand. Now, you might think that as a recruiter, employer branding isn’t exactly your key focus area. BUT think again … can you really attract the top talent for your client or company if their current employees have posted negatively about it? Well, you can’t. And because one of your key responsibilities as a recruiter — in-house or otherwise — is to get quality candidates to enter your client’s/company’s talent pipeline, you need to own this up as bad reviews are like a BIG STOP SIGN to the best candidates. With tips from this recruitment blog, you can work together with your hiring managers toward building an excellent employer branding that will work like a magnet at getting the best talent in your industry! One of the first few things a candidate looks for when considering a position at your company is how your current employees feel about working with you. This article explains how you can build some excellent employer branding for free with a Glassdoor account. With a mix of quick reads and long-form content, the Indeed blog offers recruiters everything they need to hit their recruitment metrics. With tips from this recruitment blog, you’ll learn how to get better at recruiting millennials, building a great employer branding, nurturing inclusivity, fighting unconscious biases and winning the best candidates for your client or company. This article is a great primer on how you can personalize your emails to your prospective candidates and get higher response rates. It offers some very useful tips for you if you routinely reach out to passive candidates. The Teamable blog gives recruiters some great content on how they can source the best candidates by tapping into their existing employees. Although the focus of the blog is on driving candidates via employee referrals, it does discuss a wide range of topics on recruitment in general. A lot of stories from this blog are actually case studies on how companies have used Teamable, but they all carry great lessons that any recruiter can use. Its “The Phone Screen” interview series where successful recruiters share their recruitment tools, metrics, hacks, tactics and more also deserves a mention here. With tips from this recruitment blog, you won’t just learn how to recruit more candidates from your existing employees, but you’ll also learn how to recruit diverse talent. This article is a primer on how fine-tuning a bunch of your recruitment practices (such as developing a more thoughtful talent strategy and creating an engaging online presence) can help you recruit the most ideal candidates for your company or client. The Lever blog publishes some of the best and most useful content for recruiters. Its content is exhaustive, actionable, and accurate. With tips from this recruitment blog, you’ll be able to master the most important skills you need as a recruiter — for example, skills like speedy candidate sourcing, building winning recruitment processes, creating engaging candidate experiences, building a hiring philosophy that includes diversity and inclusion, excelling at collaborative recruitment and much more. The recruiting challenges this article discusses have been known to exist forever! So read on and start preparing as you’re most certainly going to face them (again) in 2019 (and well beyond that). The Greenhouse blog gives effective tips on everything a recruiter needs to thrive in today’s competitive talent landscape. This recruitment blog covers a whole range of recruitment tips on talent acquisition, trends, events, tools, tactics and everything in between. It also routinely features interviews from talent heads at the leading companies on topics like bias-busting, inclusivity and more. With tips from this recruitment blog, you’ll learn how to keep your all your candidates engaged as they move in your talent pipeline. 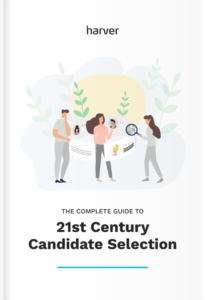 You’ll also learn about the most important touchpoints in your candidate’s recruitment journey and how you can optimize them so that your best candidates don’t abandon you halfway through it. Here’s a must-bookmark glossary of the most common recruitment metrics. Learn what metrics like Application completion rates, Applicants per hire, Candidate experience, Time to fill and more mean. This glossary won’t just give you a refresher on what the terms mean, but it will also show you what makes all these metrics important. Are candidates you’ve sourced from underrepresented groups getting hired? If not, where is the drop-off happening? If candidates from those sources are applying for but not landing the role after an interview, you can identify if unconscious bias is a factor and deal with it. The ERE blog republishes some of the best content on recruitment from its contributor websites. It brings together the top recruitment experts and influencers and offers everything from strategic C-suite recruitment advice to the most granular tips a recruiter can follow when carrying out their routine responsibilities. A special shout to contributor Phil Strazzulla (CEO, NextWave Hire) for his content on the blog. He gives highly actionable tips that will help you optimize your talent pipeline and ensure that it’s always brimming with the top talent. With tips from this blog, you won’t just become a better recruiter (by getting hands-on tactics for talent sourcing and acquisition), but you’ll also get to stay on top of the all the “newsworthy” stuff (for example — the latest updates to Hire by Google). As a recruiter, it’s impossible that you never heard yourself complain about the “shortage of applicants (or talent).” Well, this article explains why you face it. It highlights the problems with your talent sourcing process. It explains — for instance — how getting fewer hires via referrals (less than 40% of your hires) indicates a “foundational problem” with how you’re approaching recruitment. Learn more in this long read. The Workable blog is a goldmine of some of the most awesome and actionable content that recruiters can use to take their game to the next level. With tips from this recruitment blog, you’ll not just learn how to improve as a recruiter, but you’ll also learn to sell your jobs to the best candidates. Whether it’s writing job ads that attract the best talents or crafting winning recruiting pitches, the Workable blog offers a lot of value. An evergreen article from this recruitment blog: Recruiter vs hiring manager: Who is really responsible for hiring? It’s so common to see people use the terms “hiring managers” and “recruiters” interchangeable. While the two terms seem similar in the sense they’re used, they’re two very different roles responsible for two very different sets of responsibilities — of course with a little overlap. This article clearly explains who does what! If you’re looking for useful reads and actionable tips, the Recruitee blog is definitely something to bookmark! You can find tons of valuable content on talent acquisition, data-driven recruitment, candidate experience, employer branding, and other related topics. The Recruitee blog also brings you a weekly newsletter and monthly webinars to help you boost your recruitment efforts even more. Want to connect with innovative recruiters like yourself? Recruitee helps with that as well – check out the ultimate list of Facebook group for recruiters! This article contains everything you ever wanted to know about recruiting emails in all stages of the recruitment process. How to structure your emails? How to make them informative and engaging? How to write interview invites, rejections and job offers? You will find all that and a lot more in the post! But we haven’t listed our blog because it’s ours (or because we love writing all the content for it!) but because we routinely dive deep into recruitment topics that our customers care about. We research and write about the latest resources that help recruiters like you get better, for example — our lists of the best recruitment books, podcasts, conferences and more. Not just that, we also cover specific recruitment strategies around seasonality and across industries. As a recruiter, you work closely with hiring managers or teams. In fact, you both work together as a team to realize your client’s (or company’s) growth goals. Which means any content that’s useful to you might be useful to your hiring manager/team as well. So, consider starting a Slack channel and share with them anything that they might find valuable. Most of the blogs on this list email their subscribers when they publish a new article, so consider subscribing to hear about their latest blog updates. And if you’re looking for more useful content to read and learn from, check out these 18 more recruitment blogs!